Olive Tree Genealogy Blog: Was Martha Guilty or Innocent? What's Your Verdict? Was Martha Guilty or Innocent? What's Your Verdict? Last night was the Season Premiere of Who Do You Think You Are? last night at 9/8c on TLC and with Ancestry.com as a sponsor. For those who watched, what do you think? Was Martha an abused wife and saw no other way out but to wield that axe? Or did she lie? In other words, what's your verdict - guilty or innocent? Second question - any thoughts on who was the father of her baby born in prison? I was struck by how cruel this "Mrs. B" was towards her and the baby and of course that got my mind thinking about Mr. B....... Could he be the father and that be the reason Mrs. B. seemed almost determined to let the baby die and not offer Martha any comforts, not even clothes for the newborn? It was a very powerful episode and I liked how genuine Cynthia Nixon was throughout. 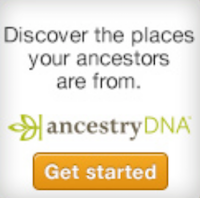 It should get a lot of newcomers interested in finding out about their ancestors. I am sorry to say buy I think she was guilty it was a shame to think she had no way out but t kill her husband. Also I think one of the guards was the father of the baby or the husband of the lady that was mean to her. I had the same thoughts as you about Mr. B. It would explain why Mrs. B was so cruel. I think it is quite possible that Mr. B was the father of her baby. And since Martha was outside the prison doing work on his property, he would have had opportunities to get her alone. I think that Martha was abused and did not see any other way out. I was curious as to exactly where Martha lived while married to her husband. If they were on a farm with no trustworthy neighbors nearby I can easily believe she killed her husband after he told her she would be dead by the end of the day. Didn't he also threaten to kill the children? If they were not well connected to other people who would support her claim of being in fear of her life, then she was really on her own. Given the lack of legal standing for women at the time, even if she made a claim against him she likely would have ended up being told to go home and treat him better so he wouldn't be "provoked" into hurting her. There were no options other than hiding out at a friend's or relative's house and hoping he didn't attack her and the kids there too. Her church wouldn't shelter her and her children from him either. Possibly she was kept so isolated she had no church or neighbors to go to anyway. In reading historic newspapers I've noticed quite a few instances of women who killed their husbands. Often the husband's drinking or abusive behavior gets a mention. As for the unnamed Mrs. B., I immediately suspected her as having believed her husband raped Martha. It sounds like she wanted the child dead by her indirect hand so there would be no evidence. Such callous cruelty seems far above any punishment the male prisoners experienced. Martha's shortened sentence probably saved her life and that of her child, and is really the biggest unexplained piece of that story. Sounds like someone on the outside, possibly as a result of that one man's book, went to work on her behalf because of what they knew about her husband's behavior. As for Cynthia Nixon I was impressed with her quick grasp of how to connect the dots. She'd make a good researcher.